Located opposite the golden sand and surf of Main Beach, #2 Hastings Street offers family friendly self-catering apartment-style accommodation on the western end of famous Hastings Street. Situated accommodation just a short stroll from a variety of local bars, cafes and restaurants, the resort overlooks the Noosa River at the edge of the Noosa Woods and is the perfect place to relax while still being conveniently close to a variety of shopping, dining, activities and attractions. Offering stylish, self-catering accommodation, Bella Casa Noosa are just a short stroll from the beautiful Main Beach of Noosa and the stunning Noosa National Park. Overlooking cosmopolitan Hastings Street, the apartments are close to a variety of shopping and dining options in the heart of Noosa. Boasting unique architecture, the apartments are home to a great range of onsite facilities. Enjoying direct access to Noosa's beachfront, Fairshore Noosa offers 2 bedroom apartments with spectacular views of the ocean right in the heart of the Hastings Street precinct. Home to an outstanding range of facilities, the resort enjoys a heated swimming pool, wading pool, spa and much more. Located in the heart of Noosa, Hotel Laguna Noosa sits in prime position on Hastings Street just a short stroll from the patrolled surf beach of Main Beach. Offering affordable, well-appointed apartment accommodation, Hotel Laguna Noosa is within walking distance of the Noosa River and Noosa National Park. Surrounded by a variety of shopping and dining options, the hotel is also home to a great range of onsite facilities, leaving everything you need at your fingertips. Located on the boutique shopping and fine dining hub of Hastings Street, Maison Noosa Luxury Beachfront Resort offers luxurious self-catering apartment accommodation with stunning views of the beach, gardens and style strip. Enjoying a fantastic range of facilities, the resort is also conveniently located close to the Sunshine Coast's most popular attractions. Offering affordable accommodation just metres from Noosa Main Beach, Mantra French Quarter is located on trendy "Hastings Street" in Noosa Head, and close to a vast array of restaurants, bars, cafes and boutique stores. Featuring 119 French Pacific designed 1 and 2 Bedroom Suites, the resort enjoys views of the lagoon pool and surrounding cosmopolitan area. Onsite facilities include a swimming pool, spas, sauna and children's wading pool. Set in the centre of Noosa, Netanya Noosa offers luxury beachfront accommodation close to the best that Noosa has to offer. The property is nestled behind the azure waters of Laguna Bay and offer easy access to Noosa Beach. 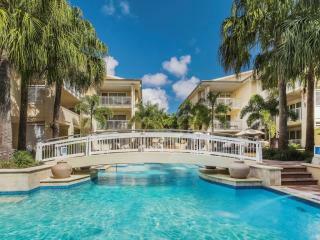 Just minutes from Hastings Street, the property enjoys full resort facilities. Just across the road from the beach, Ocean Breeze Resort is located on famous Hastings Street and offers self-contained accommodation and quality units and apartments. Enjoying a heated pool, sauna and half-size tennis court the resort offers a great range of facilities and is close to a range of attractions. Located on the beautiful Laguna Bay beachfront overlooking Noosa’s Main Beach and the famous cosmopolitan boutique shopping and eat street of Hastings Street in central Noosa, On The Beach Noosa offers stylish self-catering apartment accommodation boasting lovely ocean views, private balconies or patios and their own private spa bath as well as an excellent range of onsite facilities. 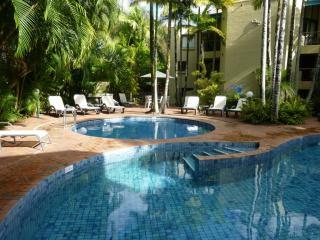 Spread across 3 levels, Sandcastles Noosa offers self contained apartments right in heart of iconic Hastings Street. With direct access via the boardwalk to the surf patrolled Main Beach, Sandcastles Noosa is also within strolling distance of a host of restaurants, bars, cafes and boutique stores. This Noosa resort also features fantastic onsite facilities including a heated pool and spa, beachfront BBQ's, undercover parking and in-house massage and beauty treatments. 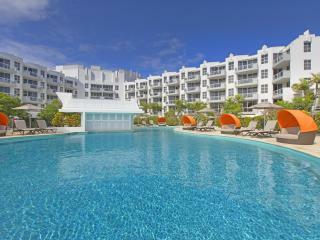 The luxury accommodation of Sofitel Noosa Pacific Resort is only the beginning of your lavish holiday experience. Located amid Noosa's best beaches and waterways, the resort boasts a huge pool, sauna, fitness centre, creche, onsite restaurants, nearby boutique shopping and much more. 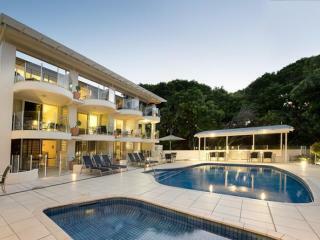 For the ultimate beachside getaway, The Hastings offers beach house villa accommodation surrounded by rainforest. Located in the heart of Hastings Street, the self-contained accommodation offers comfortable, spacious lounges and an expansive outdoor deck to take in the sea breezes. 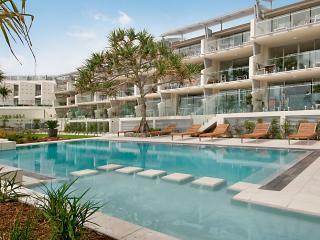 Situated in the heart of Noosa, The Sebel Noosa offers luxury and lifestyle opposite the Main Beach. With views of the Noosa River, the resort is surrounded by boutique shopping, gourmet cafes and world class restaurants and enjoys a spectacular range of facilities including unique stunning pool area.